.To avoid the specter of a failed recovery, BC/DR plans must be comprehensive, detailed, and consolidated. .Change management is required to ensure that daily business operations, the BC/DR plan, and the recovery solution are all kept in sync. .The combination of tests (does it work) and exercises (can we do it) provide the final stamp of approval that a business has done their due diligence to protect themselves against a failed recovery. 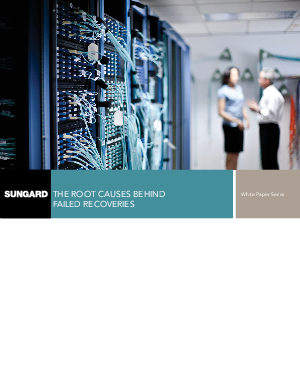 The bottom line - and the encouraging news - is that each and every one of the root causes behind failed recoveries can be overcome, providing businesses with the resiliency they need to move forward with confidence.